Community Futures is a community-based economic renewal initiative, established by the Federal Government in 1985. Our main objectives are to help rural Canadians start or expand a business and to help sustain and improve communities and their local economies. Since 1985, CFs have collectively assisted more than 119,800 entrepreneurs, influenced over 495,800 jobs and injected over $4.2 billion directly into the rural Canadian economy. 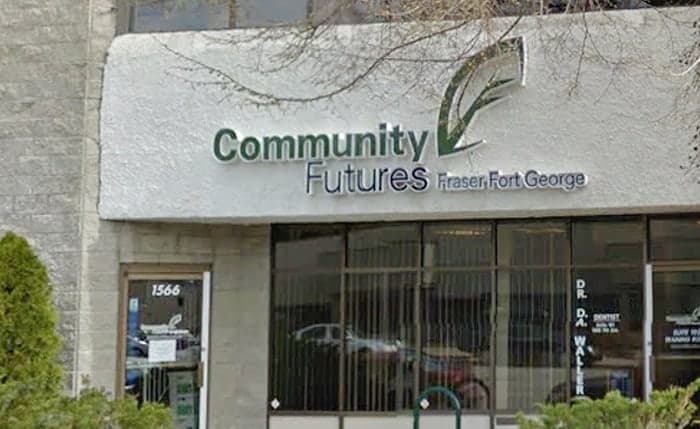 Each of Community Futures' 269 offices is led by a local board of directors who volunteer their time, knowledge, and passion to guide a team of professional staff in providing a wide array of business and community economic development services. Locally, Community Futures Fraser Fort George serves the communities of Mackenzie, Prince George, McBride, Valemount and surrounding rural areas. In the 2014-2015 fiscal year, we approved approximately $1.7 million dollars in financing to small businesses across the region, representing 35 new or expanded businesses and over 152 jobs (full and part-time) being created or maintained. Community Futures Fraser Fort George has loaned over $27.5 million to small businesses across our region. Community Futures' loan funds help support small businesses in our region when traditional lenders are unable to.